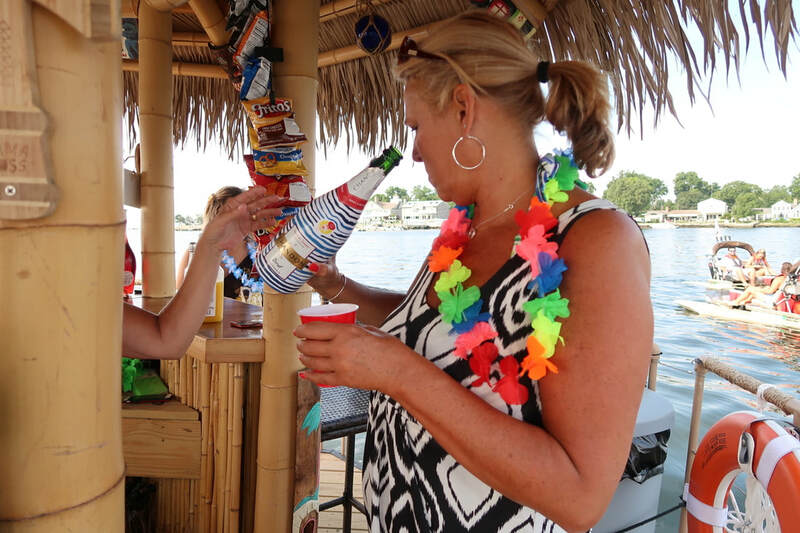 Captain John's Tiki Tours - FAIRFIELD COUNTY "IT!" Harbor Point in Stamford, CT.
Whatever your idea of relaxation, Capt. John has the cure. ​Click to Reserve Your Spot!! No shoes, no shirt, no problem... Our guests will enjoy the sounds of Hawaii while checking out the skyscrapers from the water. Our motorized floating Tiki Lounge at Harbor Point in Stamford, CT. is an extremely sturdy platform that can take all you can dish out. Try on our Hawaiian props and rock out to your favorite playlist on our Bluetooth sound system. So come aboard and get ready for the ride of a lifetime with Captain John’s Tiki Tours! Price includes a complimentary Hawaiian Lei, free shipboard photos as well as coolers loaded with ice, soft drinks, mixers and cups for your favorite beverage (BYOB). 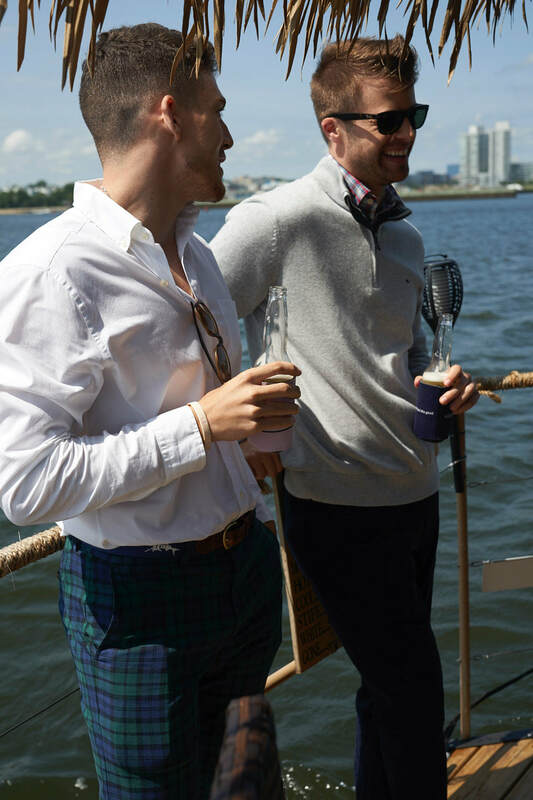 Your tour will leave Harbor Point and cruise along the Stamford Harbor shoreline where you will you see many amazing waterfront properties, wildlife, and majestic yachts along the way. You will see skyscrapers, waterfront mansions, a few mega-yachts, sunsets (pending time of day) and of course, do some DONUTS! Participants must be able to understand basic instructions in English, board and disembark the vessel on your own and sign our waiver in order to safely participate. Personal cameras, cell phones, and other small objects can be brought aboard. We suggest you leave unnecessary larger items in your vehicle. and take your team for a spin on the Tiki Boat! This cozy floating Tiki Bar seats six passengers and departs every 30 minutes from the Crab Shell Restaurant private docks. More than six in your group? The huge outdoor bar and patio can comfortably handle fifty or more people as they listen to music, enjoy a refreshing cocktail and chow down on serious eats. 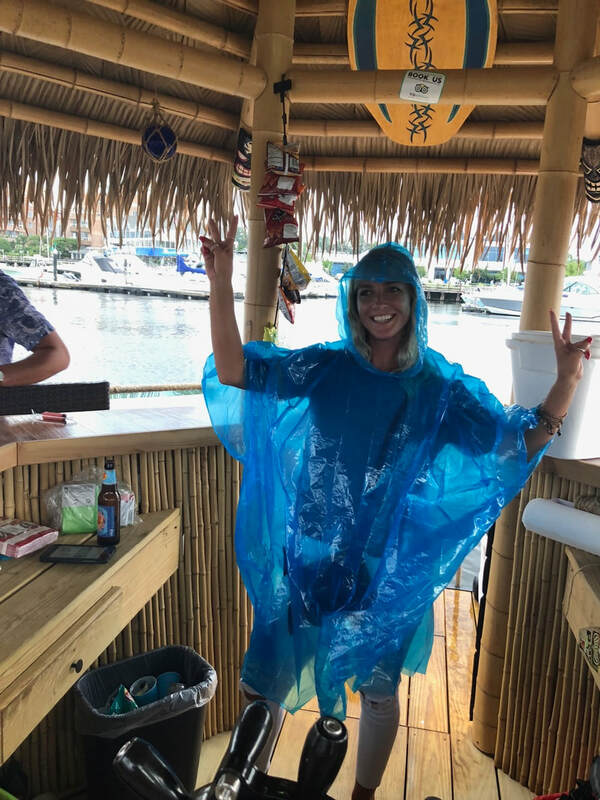 What a fun way to keep the group entertained, every 30 minutes the Tiki Boat will float right up to the Bar dock to drop off and pick up the next 6 passengers. 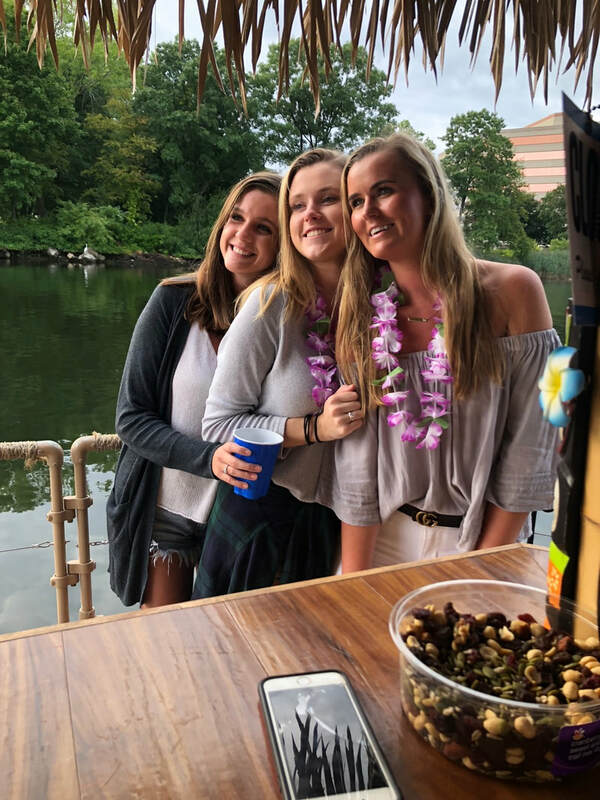 Everything will be right there for you to enjoy the day in sun with friends and colleagues, the Tiki Boat Tour is only $25 per person and depending on the size of the group, your tab at the Crab Shell could be discounted up to 20%! ​So break out the Hawaiian shirt and tropical dress, climb aboard your own floating Tiki Lounge and say goodbye to reality! ​You must call Captain John in advance to reserve this for your group at 203-614-9268. Indulge yourself! 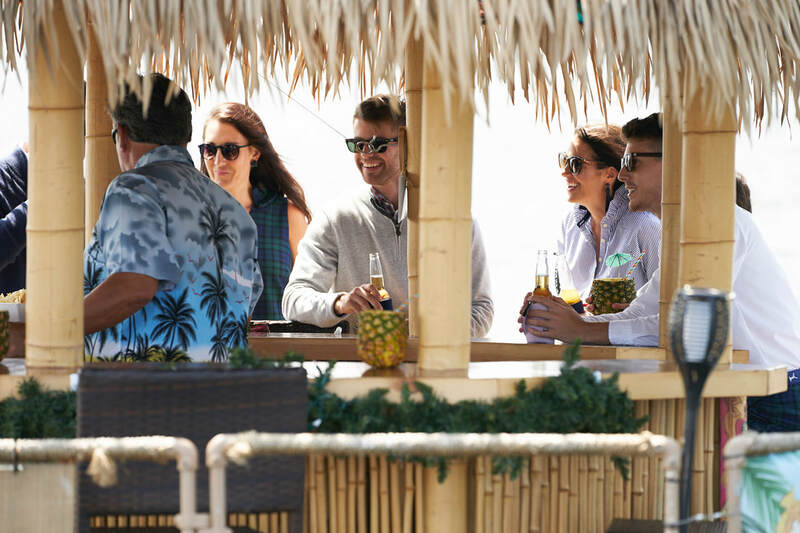 You and 5 other lucky people will board our Tiki Taxi at The Crab Shell restaurant or at our dock at Harbor Point for a 30 minute spin around the harbor while listening to our tropical soundtrack and enjoying whatever you bring to drink. Price includes a complimentary Hawaiian Lei as well as coolers loaded with ice and cups for your favorite beverage (BYOB). Your cruise will leave Harbor Point and work along the Stamford Harbor's shoreline where you will you see many amazing waterfront properties along the way. 24 hour advanced booking required. Program duration: 30 minutes including check-in and safety briefing. Guests must be able to understand basic instructions in English, board and disembark the vessels on your own and sign our waiver in order to safely participate. Personal cameras, cell phones, and other small objects can be brought aboard. We suggest you leave unnecessary larger items in your vehicle. Capt. John’s Tiki Tour staff may take photos and video of your experience that may be available for you to download afterward.